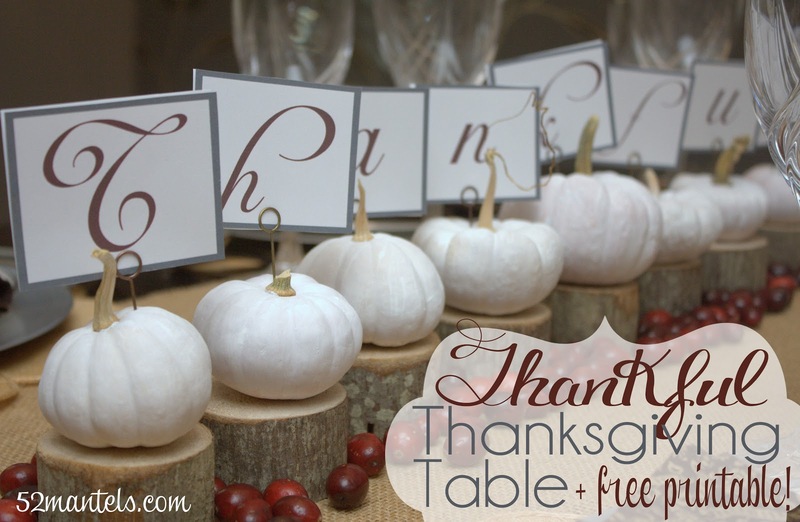 52 Mantels: Thanksgiving Centerpiece Ideas + a Live Google Hangout! 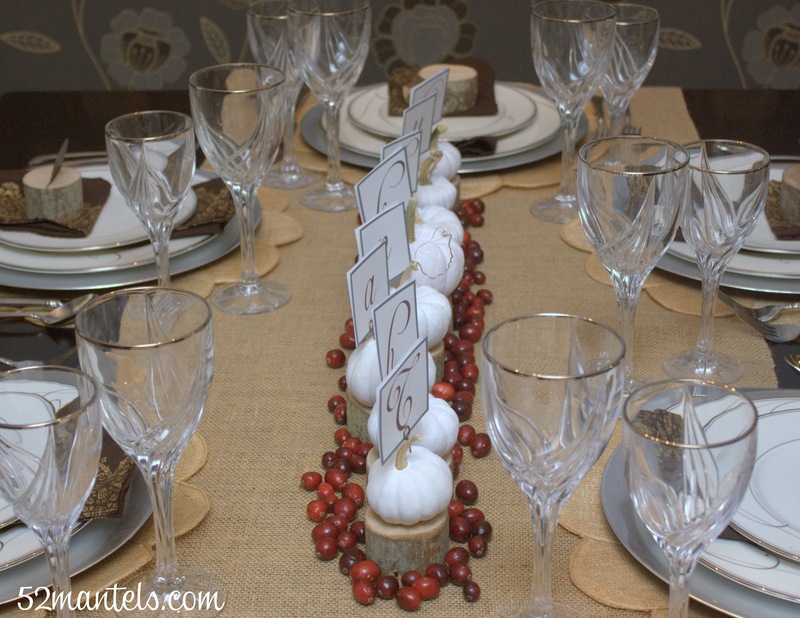 Thanksgiving Centerpiece Ideas + a Live Google Hangout! 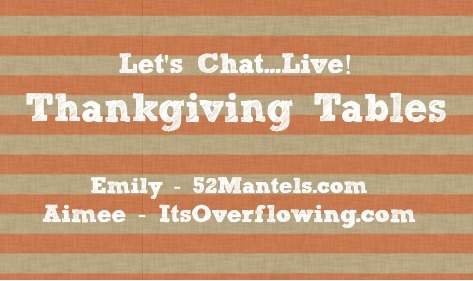 During our Google+ hangout, Aimee and I will be talking about Thanksgiving tables and centerpieces. Come see what we have to say! 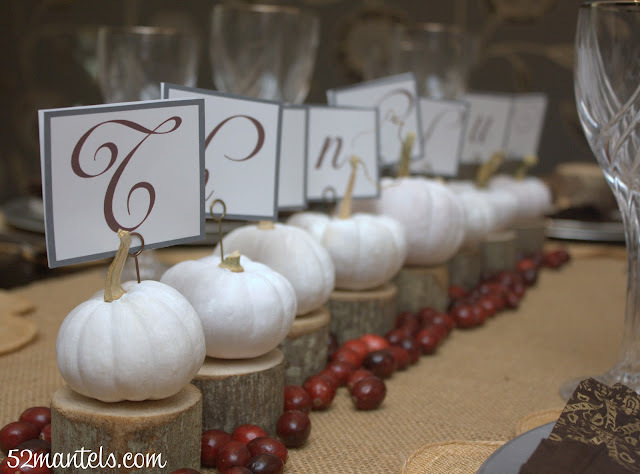 I'm giving the 411 on how I took all those orange and cream pumpkins from my Halloween decor and gave them new life for my Thanksgiving table. Three coats of white acrylic craft paint is all it took to freshen those tired pumpkins up! **If you're curious about the cool round wooden place card holders, I bought them on Craigslist, but the original owner bought them on etsy. Here is a shop who sells something very similar for a reasonable price! Hope that helps. 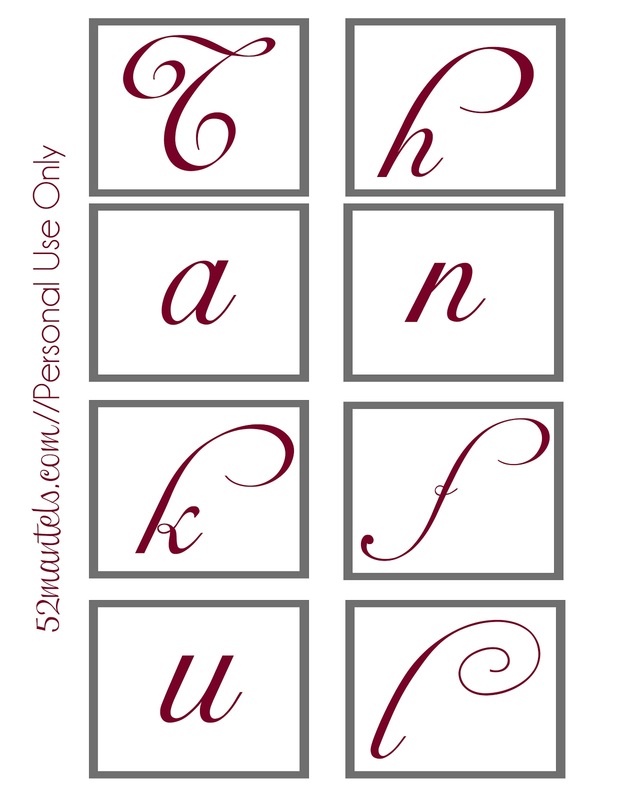 Simply print 2 copies, cut around the border and place them back-to-back on memo holders (you can make DIY picture holders using this tutorial or this tutorial!) and stick them into 8 pumpkins. Easy as can be! Want to see more Thanksgiving Table Ideas? Click the photos below! I LOVED THE CHAT! But you are so wrong about you being the only one that loves the Pumpkin Bars! Both the crafts were awesome! And, Dahling....the camera loves you. Awe how cool it that! You did awesome Em!! 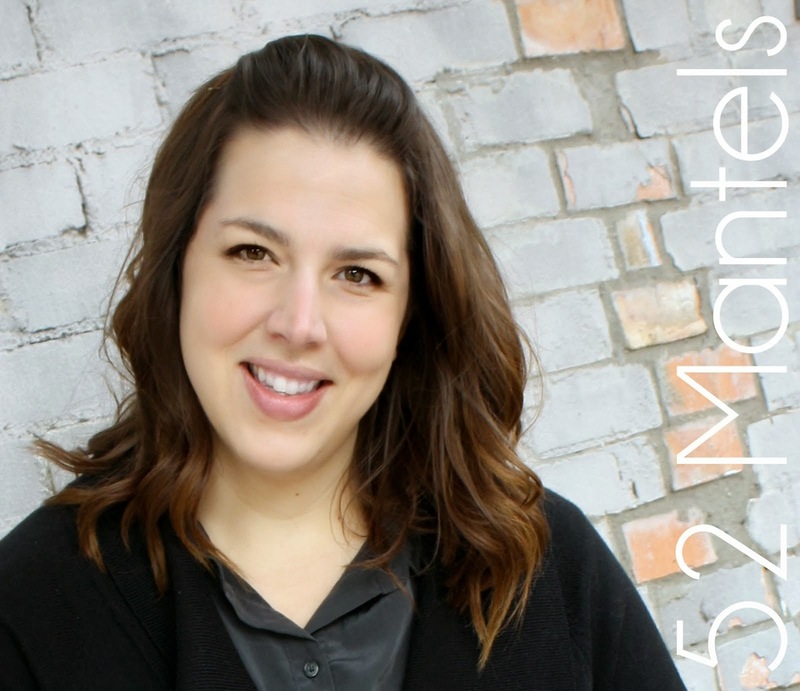 Its so fun hearing a "voice" behind the blog!!! 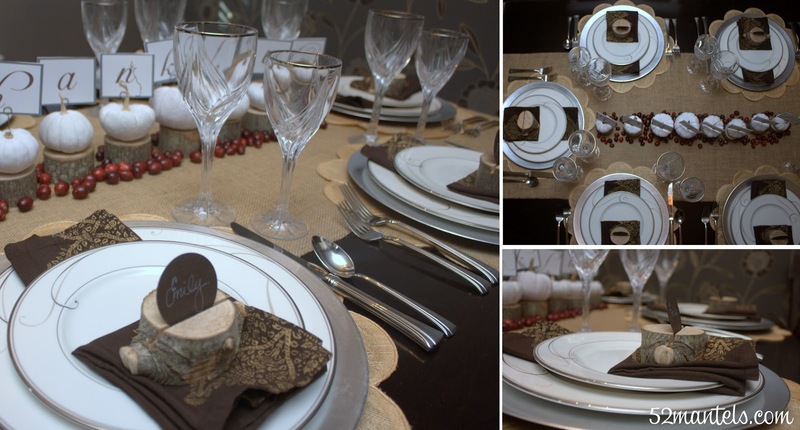 Loved your centerpiece as well (but I love everything usually)!! Love so many of these ideas. The pumpkins "Thanks" centerpiece is beautiful. Emily, this is SO SO beautiful! It looks like a magazine! This is gorgeous Emily! I love white pumpkins :) Beautiful printable too, thanks! Love this Emily!! the white and burlap with the pop of red is devine!! seriously you guys are both so darn cute!!! :o) it is fun to see you both in "real life" :o) now if only we could REALLY hang out! Hope you are having a great night! Wow Emily, that's so creative! I really like how you painted your little pumpkins white and stuck the little picture holders into them. I had to click on the link to see how you made the picture holders. Using the wrapped floral wire is genius! I wonder how quickly I could get this done myself?? 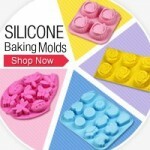 So glad I found you on Design Dining and Diapers. I'm your newest subscriber! P.S. Not sure if you realize it, but both links that you put up for the DIY picture holders go to the same post. regularly. I'm rather sure I will be told a lot of new sstuff proper right here! as well abide that they could do to avoid scammers. influencing men's fashion - young, flowing and vibrant.